Action Xtras found my review online and sent me a message on my Facebook Page. 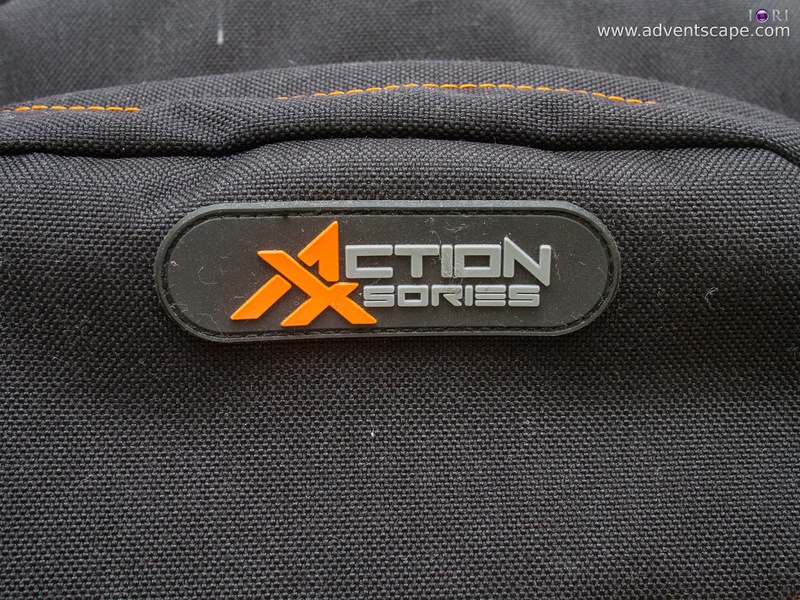 In a few weeks time, Action Xtras will release it's V2 (new version) of their Pro Drone Backpack. They introduced improvements that fixes some of the issues I mentioned on my review below. But in order to fully understand the improvements, I need to get my hands on the new version. Hi Philip. 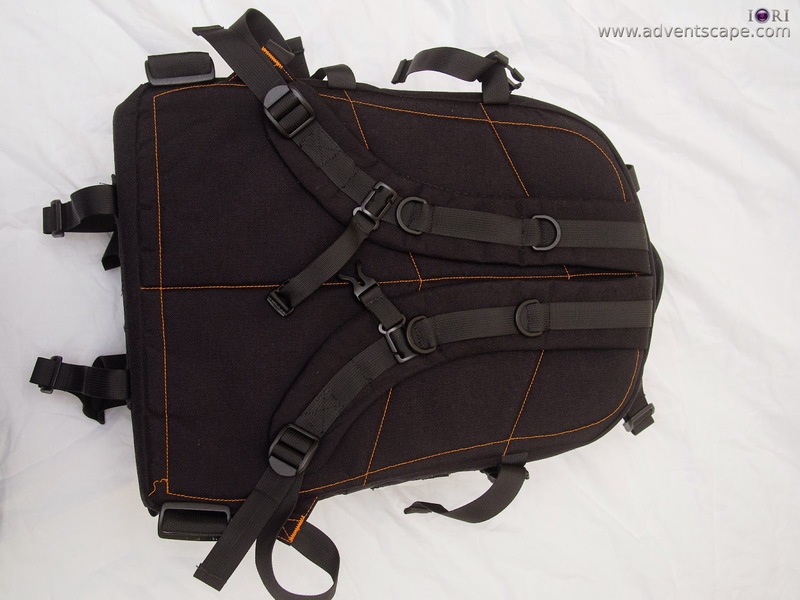 Thanks for your independent review of our backpack! Its much appreciated that you take the time to provide other hobbyists/professionals about our products. Hope your enjoying your Backpack! redesigned foam to allow for phantom vision Wi-Fi Dongle and FPV screen. Also added a lot more storage pockets in foam and incorporated a better quality top coloured layer of foam for durability and also to distinguish ours from the cheaper alternatives. As for the backpack. 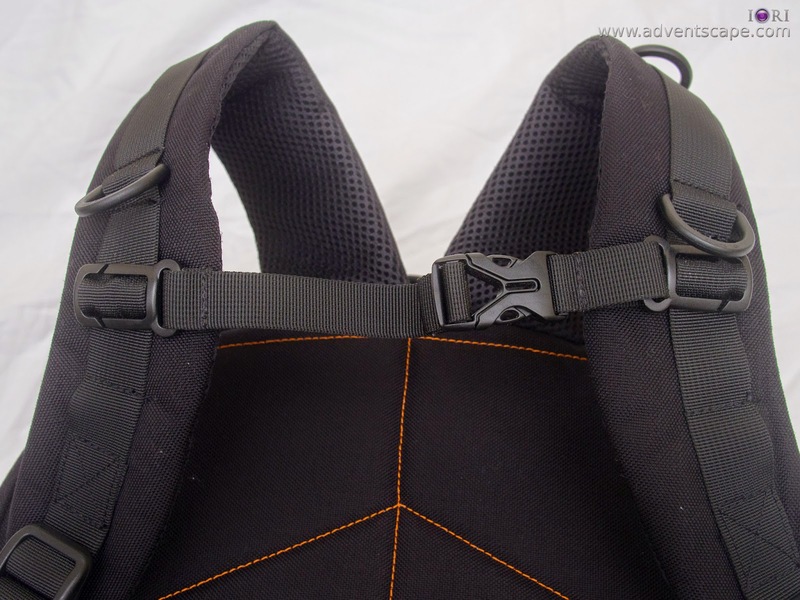 The straps have been designed with more padding along with more padding in the back for comfort. We added a laptop pocket to front that can fit all laptops (unless you're carrying a 32"). We added some internal storage pockets within the front pockets and also added zip pulls to all zippers for ease of opening. Small changes but useful and won't effect price. Only change In price if any will be result of the USA dollar falling. 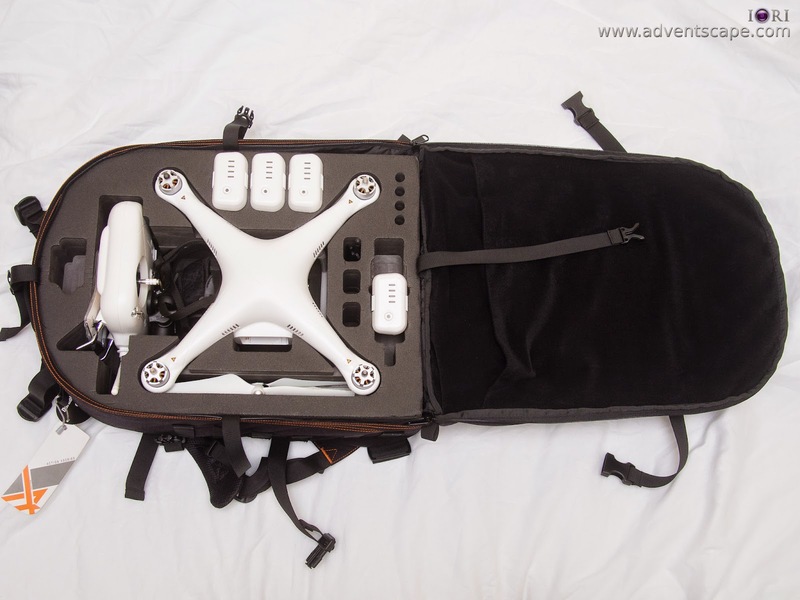 After buying a DJI Phantom, I immediately look at drone bags. I give importance to a bag as it will serve me better and longer in the future. After going through so many photographic bags in the last 8 years, I was determined to get the right drone bag for my Phantom. 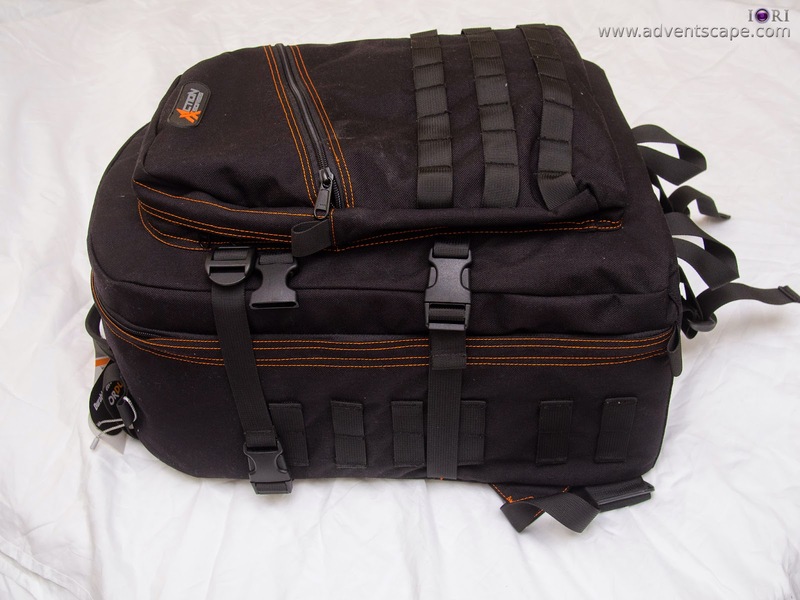 There are heaps of cheap drone bags in the internet (particularly eBay). But I’m not sure how it fits, the comfort it gives, the features it has and durability. For bags, like tripods, I urge inspection. You need to personally feel it, inspect it, try it out and if you can fit all necessary equipment inside. You need to simulate how you’ll going to carry it and how you’re going to use it. Bags need to be durable as they are beaten up a lot. A flimsy bag will just spell out trouble and may not be reliable. I need a bag that I can fill all my new gear and be strong enough to last long. For this, I’m willing to spend more. Yes, it seems like a weird name. I believe they are designed here in Australia. Take a look at the photos I have. They might have a different advertised name on eBay or other stores. But I’m sure they’ll have the same design. They’ll have the same pockets, zippers and openings. I bought mine at Camzilla so they call it DJI Phantom Pro Backpack. I’ll just call it Pro Backpack. I recommend buying a bag or a hard case for your drone. Aerial video drones are not cheap. They come with many accessories (which are not cheap as well) so you want to put them together. A bag organises all your things so you can just grab and go. My first drone is an assembled DJI F450 flamewheel. I didn’t bought a bag for it. As a result, I kept on forgetting my FPV, remote, spare propellers, allen wrench or screwdriver and many more small things. It’s irritating to forget all these things when you’re already in the field. Not only it carries all your things, it also for protection. When I carry my F450 before, I needed a space in my car that won’t bump to it, or fall to it. It needs to be secured properly in any way possible or a sudden stop would have it flying inside the car. Though I have a bag that carries all other things (e.g. FPV, remote, batteries etc), I don’t have a dedicated bag that would carry my F450. So it’s hit or miss here. This is a good one. Most drone users I’ve seen use a hard case. It’s logical as hard cases resist all kinds of external forces in any direction. They also look professional. Hard cases can be bigger than backpacks so you can pack more things like batteries and propellers inside. 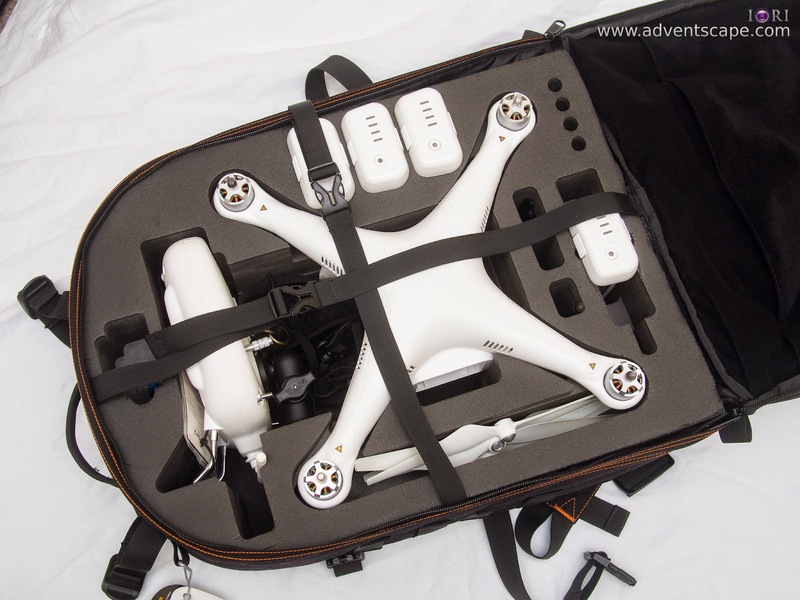 Some hard cases allow you to store the DJI Phantom inside without removing the propellers. 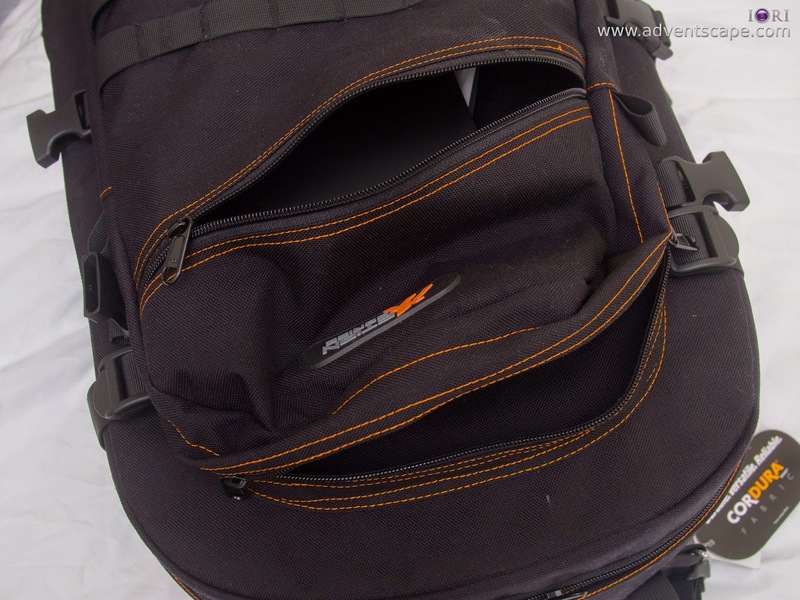 But hard cases tend to be heavier for the same equipment they can carry as backpacks. Hard cases are also meant to be carried by one hand (or a trolley). Carrying hard cases is alright for short distances. But carrying hard cases with one hand for a distance is a pain. I love my hands to be free when I move around. 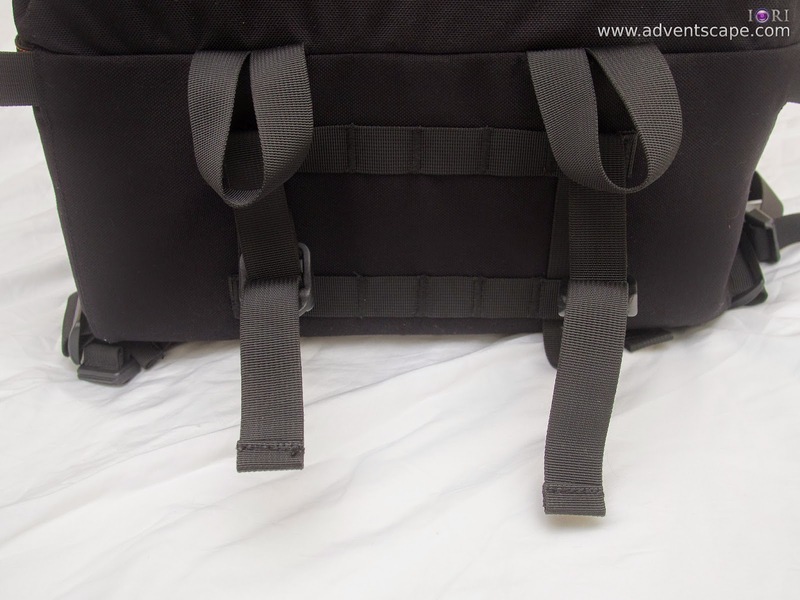 I’m also inclined to grab the lightest bag as I do bush walks and plane travel. I decided on weight and comfort. For me, backpacks are more comfortable than carrying a bag on hand. The hard case is already 3.5 kgs on itself. This is already heavy for a hand carry when travelling in an airport. It’s likely that I’ll carry my dSLR with my drone when I do my shoot. My dSLR attaches to my waist. So the Pro Backpack is an easy choice. This way my hands are free and able to manoeuvre quickly in the field. The inside is pretty much the core of what you’ll bring. I find the hard foaming to be efficient and protective. It carries all the sophisticated equipment inside. The drawback is that the propellers need to come off the DJI Phantom. This is an advantage for hard cases as they are big enough to accommodate all 4 propellers attached. But this is a small trade off as you just need to spend about 30 seconds to detach the propellers and 30 seconds to reattach the propellers again. I find that this setup is a lot lighter than a hard case. It’s even a lot lighter than my photography bag! The Pro Backpack is comfortable given its size and bulk. You’ll feel a flat board at your back (that’s the hard foaming). It feels bulky, but you’ll feel alright after a few carries. The important thing is that the Phantom is safe inside. The Pro Backpack has a hip belt. If your shoulders are feeling tired, you use the hip belt to shift the weight from your tired shoulders to your hip. This is very useful for me as I do hours of bush walking. I can just fasten the hip belt and have it carry the bulk of the weight. But if you’re not a fan of hip belts or do not see further use for it, you can remove it entirely. At least, you don’t have any dangling hip belt when you’re walking. 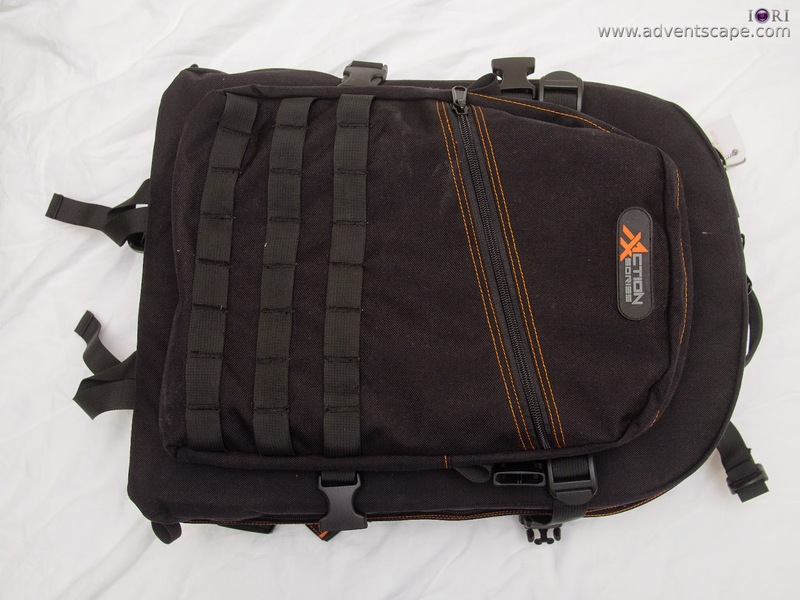 I find the Pro Backpack needs more foaming on the shoulder strap and back cushioning. I find them too thin and providing more foam will be more comfortable. 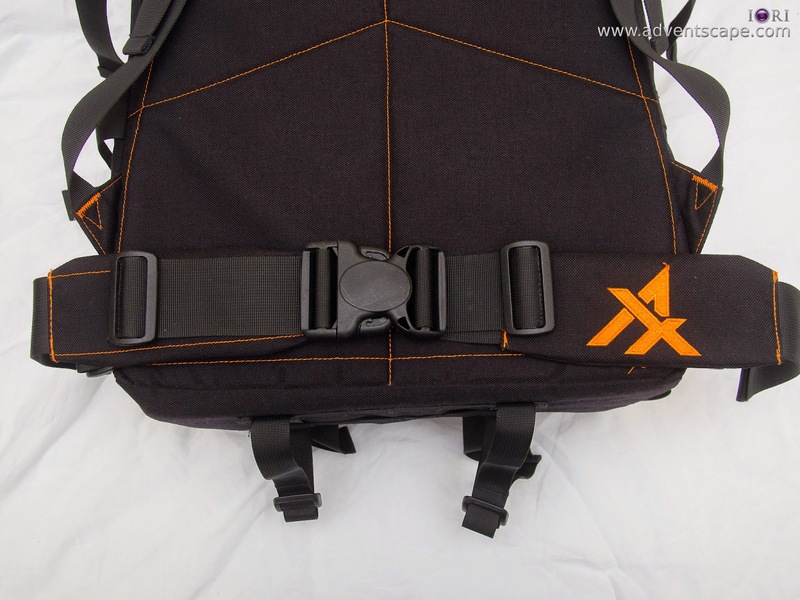 It seems like the design and aesthetic value of the Pro Backpack relies on straps. Straps Beneath the Bag, this is like an accessory strap that you’ll find under the Pro Backpack. We started hiking very early in the morning (8am). It was still cold so we have jackets. But as we walked further and the temperature rose, I just need to remove my jacket or else I’ll sweat excessively. I used these straps to fasten my jacket to my bag rather than me carrying it all the way through. 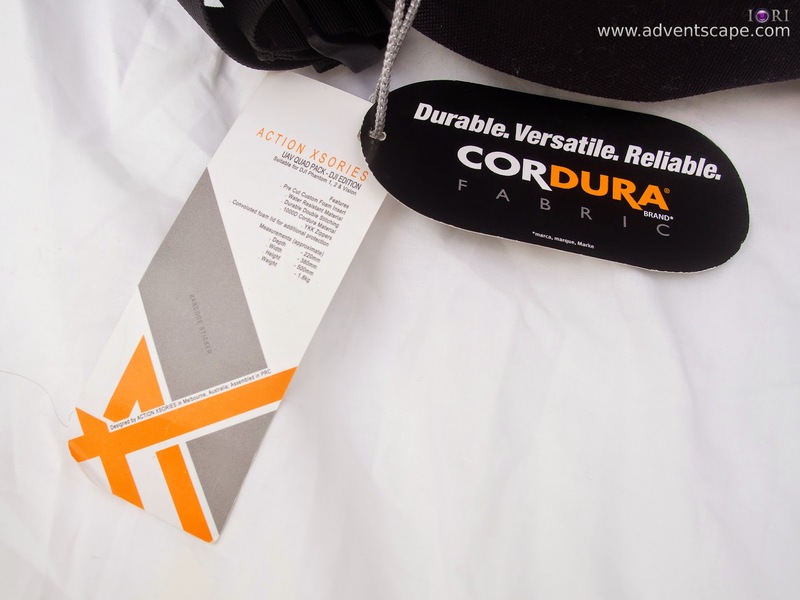 I notice that I can also use this strap to fasten camping tents or other bulky clothing. Sternum Strap, probably the second most useful strap of them all. The sternum strap is the strap that is located at the shoulder straps. It’s main purpose is to lock in the shoulder straps so they don’t come off your shoulder. I use this a lot during long bush walks. It’s also useful if you’re actively doing something and you have the bag at your back. Side Straps, this is a redundancy measurement for the zippers. If the bag’s zippers don’t close, you can still have the straps to close the bag temporarily. It also holds down the Phantom (like the Cross Straps) and kept it from moving so much. As I’ve said before, there are plenty of straps. I’ll not include here the straps that I don’t know what it does, but I’ll mention it anyway. The shoulder straps don’t count as an additional feature as this is a backpack. Although there are many useful straps, there are still so many straps that I don’t know what they do. There are straps at the top handle of the bag. There are straps at the sides of the bag that seem to not go anywhere. But using straps as ‘design and aesthetic’ really just a waste of material. I’d prefer more pockets than straps! At the end of the day, it’s all about protecting your hard earned investment. Hard cases can protect your drone from forces pressing in different direction, at least in theory. The Pro Backpack does the same. The hard foaming houses your drone and ensures that no force is able to press in. It has enough compartments for essential accessories (e.g. propellers, Phantom Intelligent Batteries, AA batteries). The have ample spaces to each other so they’re not cramped. I’ve been using the Pro Backpack for 3 months now and went to the forest, beaches and mountains. I don’t see any issues in terms of protection and padding. I heard a story once that a hard case was used to check in as baggage. Probably it was too bulky to make it as a hand carry. But when the owner retrieved the hard case and opened it, he was shocked that his Phantom has a broken propeller and the Zenmuse gimbal was pressed sideways (needs repair). I believe this wasn’t an issue of the hard case but rather the way the hard case was handled during travel. The moral of the story would be not to check in sophisticated equipment. There will be debates about the price and its overall value. This is usually subjective especially if the margins are close to each other. 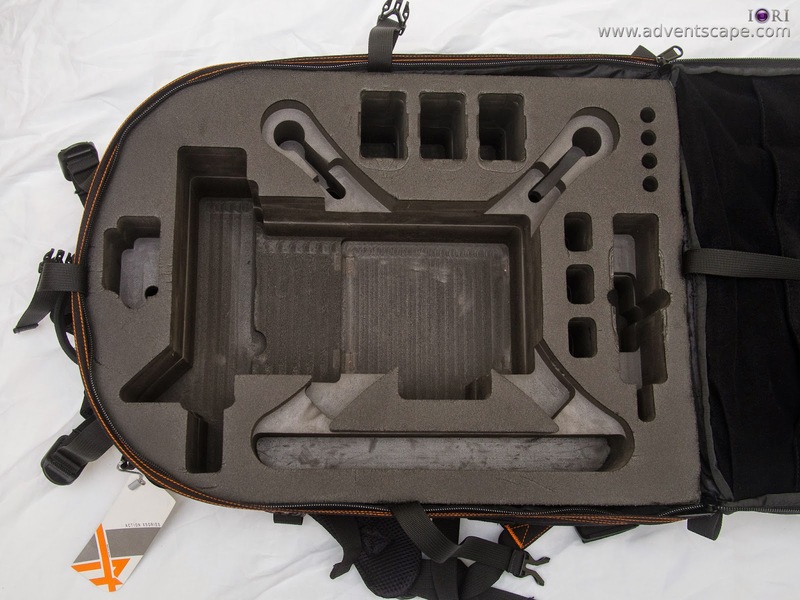 I haven’t seen any mainstream DJI Phantom backpacks out there (usually hard cases). So I’ll compare the Action Xsories to the offerings at eBay. The backpacks at eBay are essentially the same (same design, same look, same hard foaming). They’re priced good as well, $50?! The Pro Backpack is 4 times more expensive than those offered in eBay. But that’s the only thing you can fault it. The Pro Backpack is bigger, thus offering more items to carry. I would assume that the Pro Backpack is more durable as well (due to its price). But I haven’t tested this with the ones from eBay, it’s just an assumption. The Pro Backpack looks better as well, even if it’s full of straps. The best reason to grab the Pro Backpack is that I need it now. I’ve bought a drone and I want to put the drone inside the bag. There are no right or wrong answers when choosing a bag. You choose because it fits your needs, is comfortable, gives the features you need or just suits your taste. The best bag is the bag that fulfils its primary purpose. The primary purpose here is protection while able to carry all essential equipment. The Pro Backpack fulfils this and gives off some more. Although the price is steep, you always get what you pay for anyway. So it’s just buying the best rather than buying again. I have the DJI F450 before I bought a Phantom. It's my 'training machine'. It also gave me all the basics of a quadcopter right. Thus when flying a phantom after an F450 is a breeze. You have good content by the way! does it fits for dji phantom 3? and if yew, where can we buy it from? This only fits DJI Phantom 2. 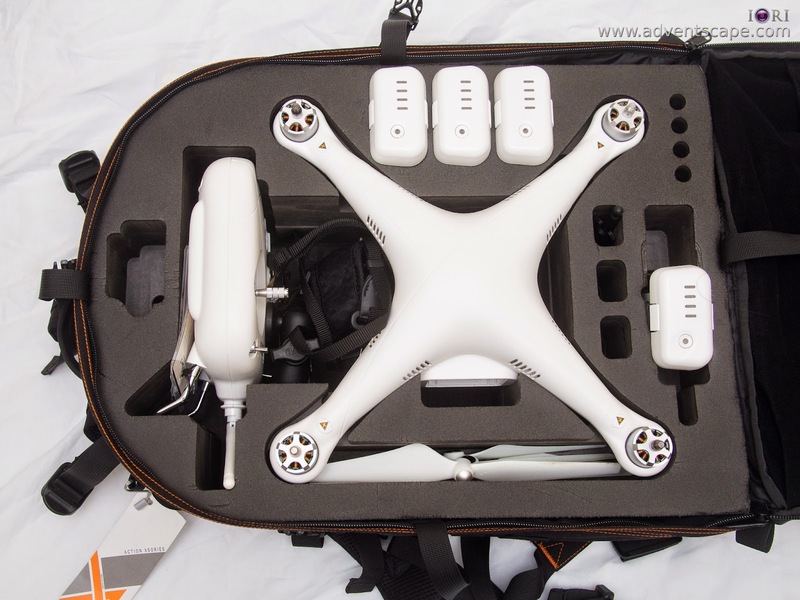 But if Action Xsories caters for DJI Phantom 3 & 4, they needed to customise the padded foam inside. I love this bag as it fits the drone safely & carry many accessories. Thanks!